Your Kill Team is ready for the next mission? To make sure they get to the next game safely, we have the handy MINI bag with foam inserts ready for you. 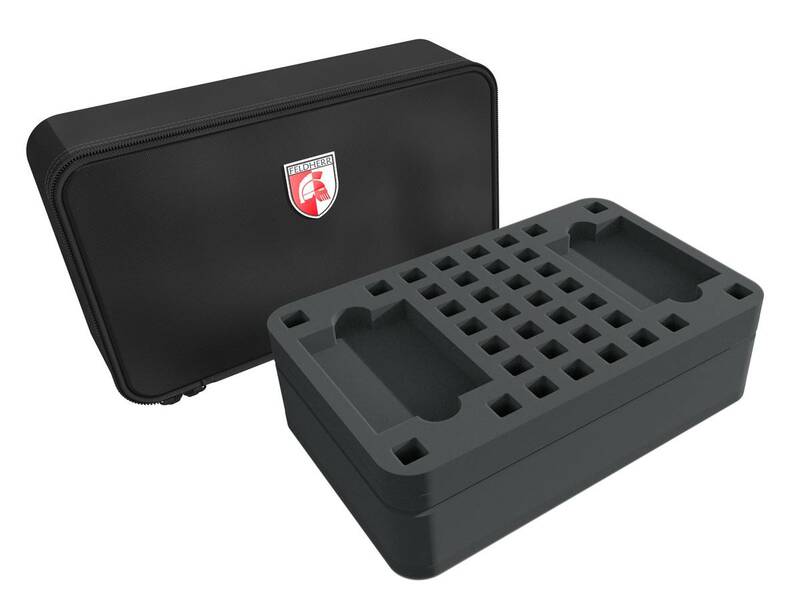 With this set you always have everything in one place - warriors, dice and cards, all compactly and securely stowed away. The first mat is divided into 10 compartments in which the figures find a safe place. The compartments are dimensioned so that most Kill Team models with a 25 mm Citadel round base fit exactly into them. They can also be used to sort the tokens. Not only in the Kill Zone every single warrior is of special importance, that's why each individual gets his own compartment. Completely surrounded by foam, the miniatures are hereby optimally protected against damage during transport. It also prevents the figures from slipping around or colliding. This preserves the colors of painted miniatures. On the second insert you have two card compartments for storing Tactics, Mission and Data cards for your troop. The cards fit with and without sleeve. 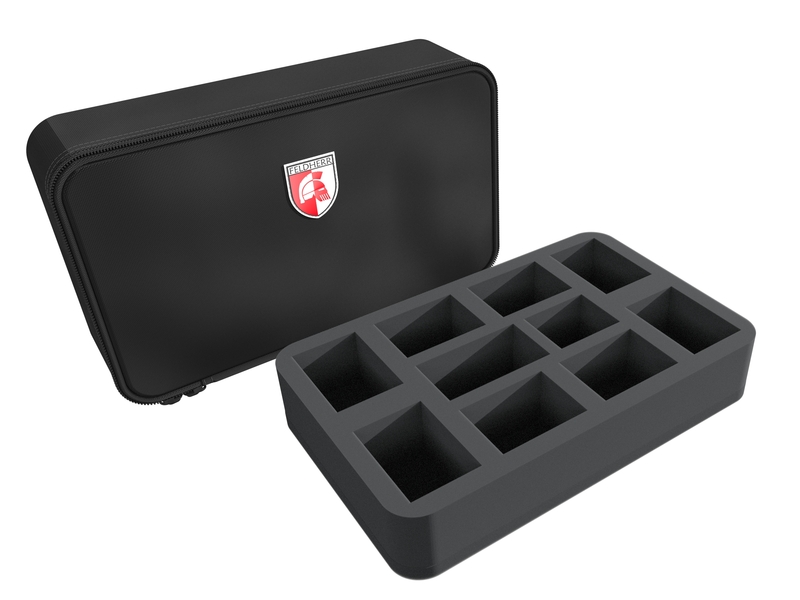 36 square compartments are available for storing the dice. 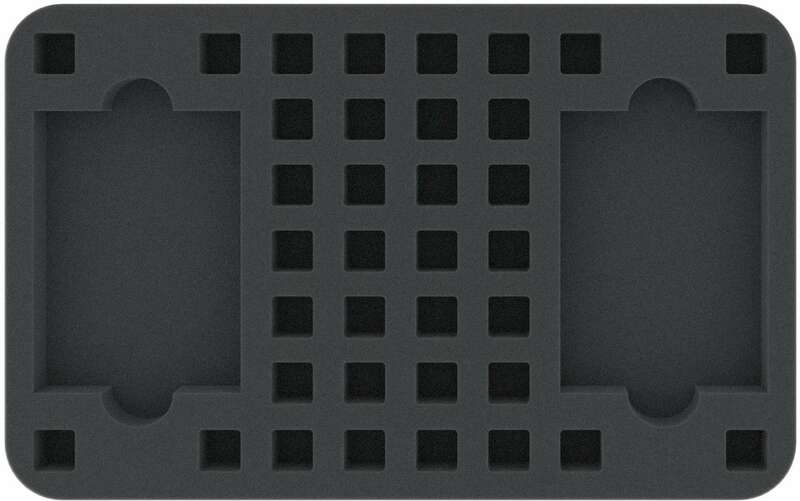 These slots are each 14 mm long x 14 mm wide x 15 mm deep. 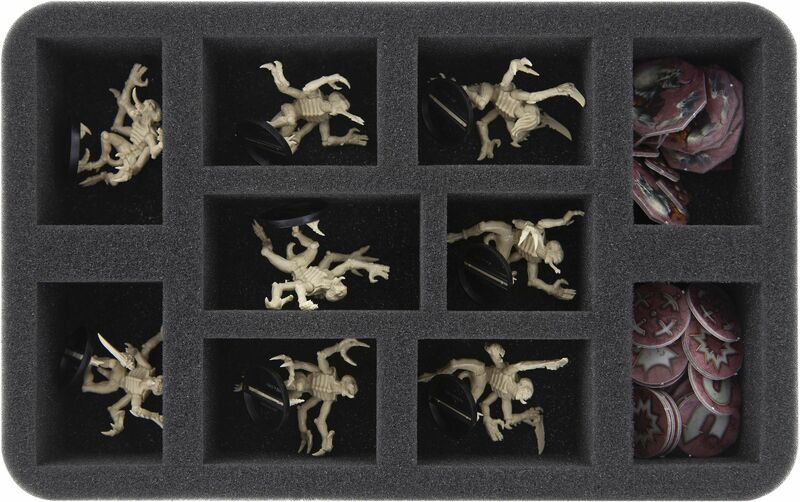 The matching foam topper ensures that the figures on the uppermost tray are entirely wrapped in foam. 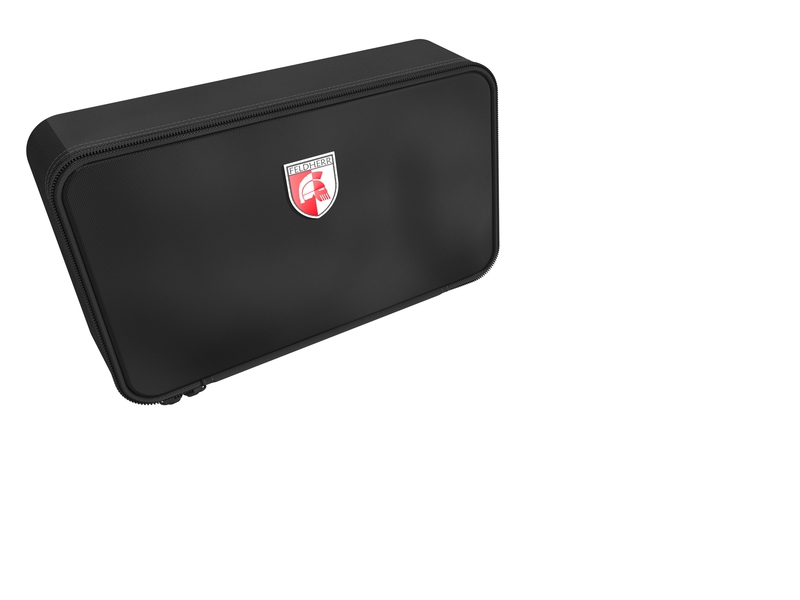 The Feldherr MINI bag is made of particularly durable fabric and ensures that your Kill Team and the game material are optimally protected from external influences. A meshed pocket with a zipper on the inside provides extra space to store small parts such as tokens or writing material.